MRF, India's largest tyre manufacturer introduced ‘MRF Nylogrip Ezeeride’ range of motorcycle tyres. MRF, India’s largest tyre manufacturer introduced ‘MRF Nylogrip Ezeeride’ range of motorcycle tyres. MRF Nylogrip Ezeeride motorcycle tyres will be available in tube and tubeless versions for both the front and the rear in ten sizes fitting popular commuter bikes and extending to the Enfield and Harley-Davidson motorcycles. 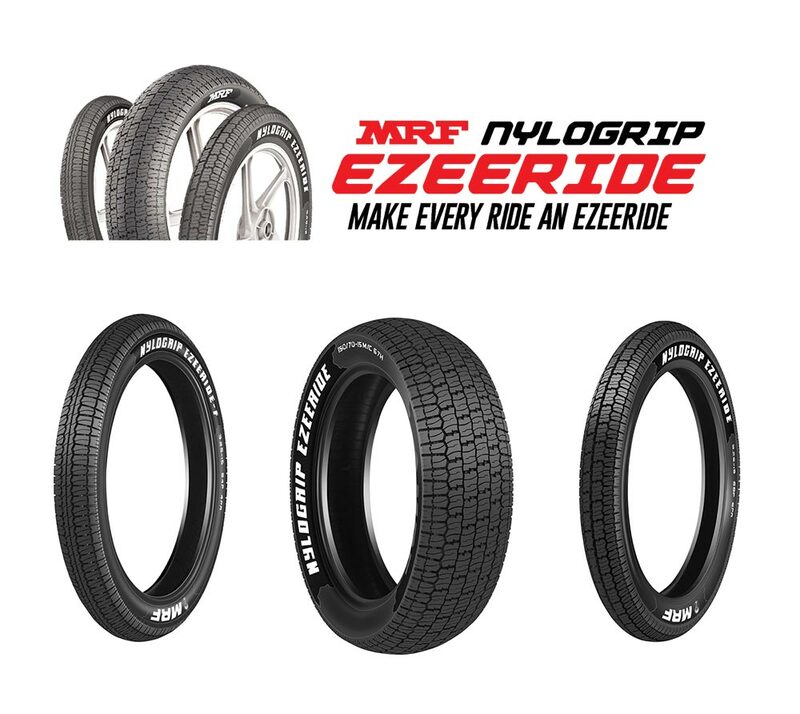 True to its name MRF Nylogrip Ezeeride will make every ride an Ezeeride. MRF Nylogrip Ezeeride is available at the flagship MRF Tiretok, MRF T&S stores and MRF Exclusive dealers across the country.